For my birthday last month, my lovely other half bought me a very useful little gift - The Bloggers Planner - when I shared it on my birthday haul post I had a few people contact me to ask more about it, so I thought I'd do a post all about what exactly The Bloggers Planner is and why I've found it invaluable to keeping me organised and on track with blogging! Obviously you'll have to excuse the slightly narcissistic slogan on the front of mine...Jon bought this for me and had it personalised!! You can personalise the Bloggers Planner on many levels, including what sort of lists and pages you have inside...you could have one made completely different to my own to suit your own needs which I think is a fab idea. 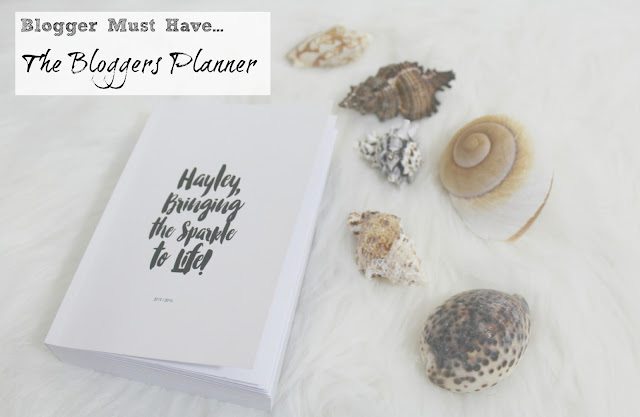 The Bloggers Planner is...well...exactly what it says on the tin! 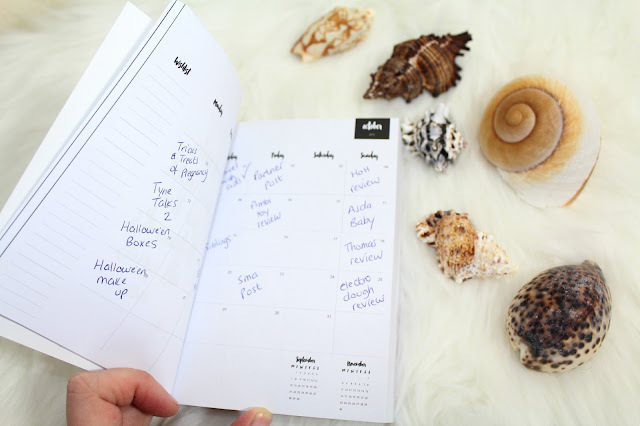 A Bloggers Planner...but it's so much more than you might expect! This little beauty does the job of several organisers in one. Before I had this planner I would keep numerous lists on spreadsheets on the computer and written in a notebook on my computer desk, trying to find ways of keeping everything organised. I had spreadsheets showing payments due for posts, payments that needed to be chased and so on - I had lists of the following weeks post schedule, social media schedule etc and I had pages and pages full of my scribbled out content ideas which I then frantically try to find when I need some inspiration for a new post. But the Bloggers Planner organises everything for me. It's broken down into months, and then into weeks - each week has it's own section to enable you to write down any appointments or reminders for yourself but I choose to use this section for at-a-glance Post titles so I know what's running on which day - sometimes I like to come back and re-arrange my schedule if I feel another post has become more topical for that week and so on, so it's great to have a week-at-a-glance section to refer to. 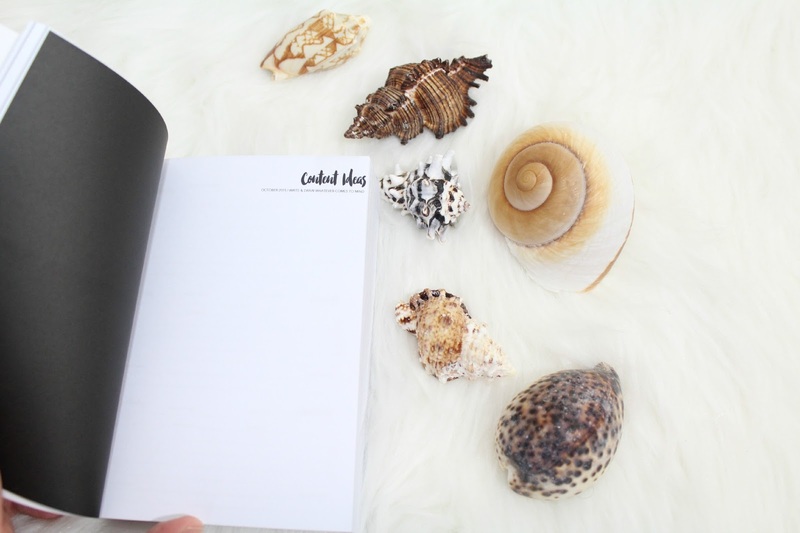 There's also a separate section for Content Ideas, which is great for me as it means I can easily find the content pages to flick back to when my inspiration well runs dry and I need a little help! I can't stress enough how important I find it to have a constant list of ideas for new content - whenever the mood to write strikes me I just flick back to my ideas list and there's always something there to spark a new post! You don't have to write down complete ideas either...sometimes just a funny sentence your child has said or a news article you saw on the TV can be enough to jot down...when you refer back to it at a later date you never know what ideas it might suddenly spark. I use the notes section for different each month, depending on what my priorities are. This month I've used it to write out a to-do list of posts that I have outstanding, last month I used it to meal plan (I don't use the planner exclusively for blogging as other aspects of my life are just as in need of organisation!). The choice is yours as to what use this section for but its a handy one to have! Then there is a content section where you can write down in more detail the posts you have going live in a particular week, and you can check off all the things you need to do for them. 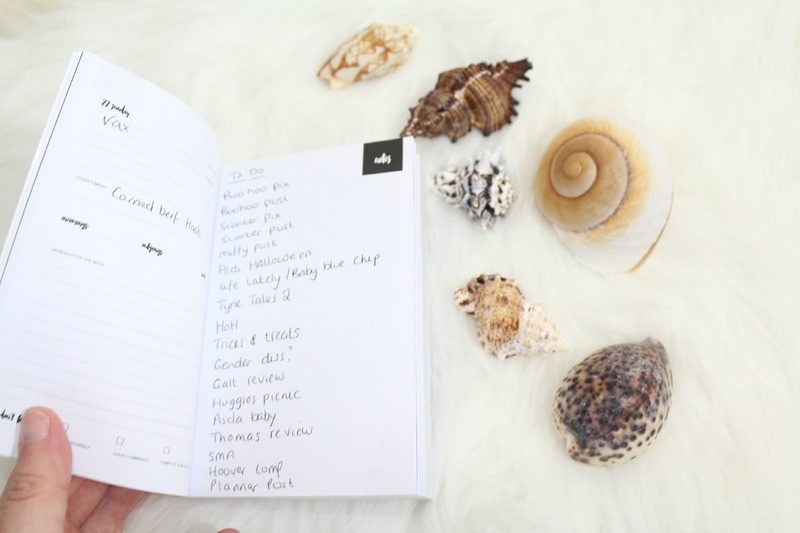 There's a space for the post title, keywords and live date...an area to write a content description - and a very handy to do list! This includes reminder to write, edit, schedule, publish, tweet the post, Facebook it, etc...I find this to be so handy for reminding me to set up all my social media alerts for each post. 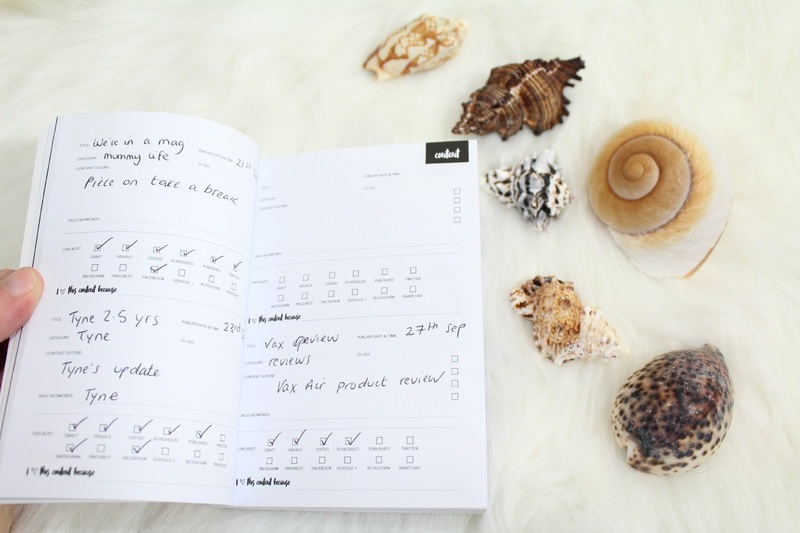 The other sections of the planner include a section to list any Hauls you want to post about or film, a wishlist, and at the end of each month is a section to record your earnings, and your monthly subscribers number across each platform - this will be so interesting to look back on at the end of a year to see how much of a change there has been. 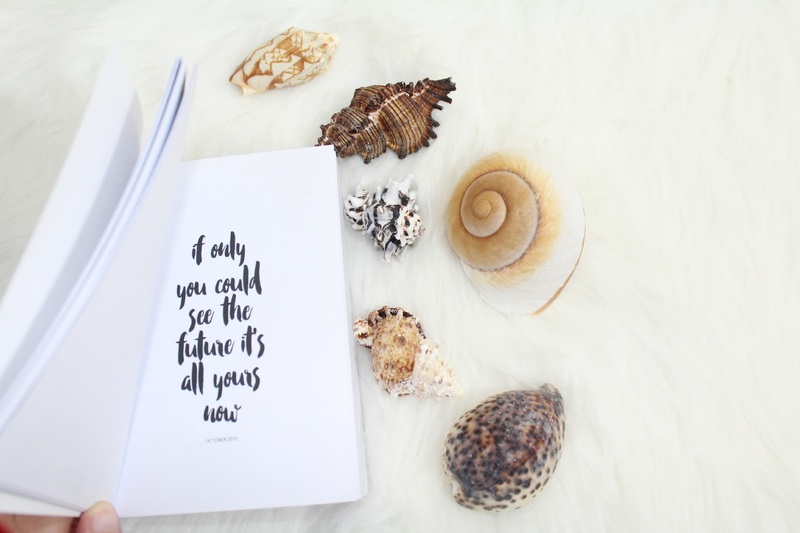 And finally, another thing I love about this planner is that at the end of each month is an inspiration quote - and what blogger doesn't love an inspirational quote?! *This item was not provided for review, all thoughts & opinion are my own...I just love this product and wanted to share it! Never heard of this before, looks great! I've just ordered a couple of products from Busy B for all my planning for next year! But will keep this in mind for the future! Oh I love this am going to have to ask for this for Christmas as I need to be more blog organised.